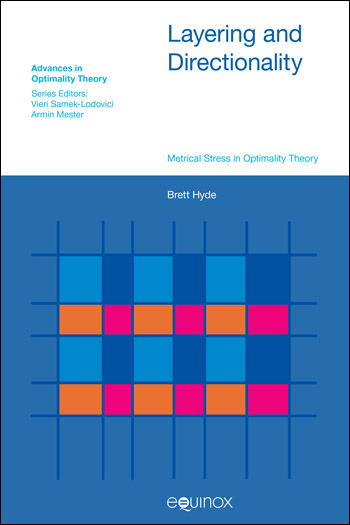 The metrical grid, the prosodic hierarchy, and the devices that establish directional parsing effects are closely intertwined in metrical stress theory. The metrical grid is the structure that represents stress patterns. The locations of stressed positions on the grid are constrained by the positions of categories in the prosodic hierarchy. Both the metrical grid and the prosodic hierarchy are manipulated by constraints, such as alignment constraints, that establish directional orientations within these structures. Assumptions about the representations affect the behavior of the constraints, and the particular formulation of the constraints influences the ultimate configuration of the representations. Layering and Directionality is unique in the OT literature in that it examines both halves of the equation. It addresses the formulation of constraints that produce directional parsing effects, but it also addresses assumptions concerning prosodic and metrical structure. The book presents and defends three central proposals: the Weak Bracketing approach to layering relationships between prosodic categories, the Optimal Mapping approach to the relationship between prosodic categories and the metrical grid, and the Relation-Specific Alignment approach to parsing directionality. The book is also be unique in its coverage of OT accounts, comparing the proposed approach to approaches that range from Generalized Alignment in standard OT to the more recent Iterative Foot Optimization couched within the framework of Harmonic Serialism. The book draws extensively on the typological literature to evaluate the predictions of the accounts examined.